Posted by Marguerite | September 4, 2017. I’m preparing for an live Health Chat tonight on @Periscope where I will share health updates on holistic tips and info. Plus, my main topic will be – What to Avoid to live Healthier! 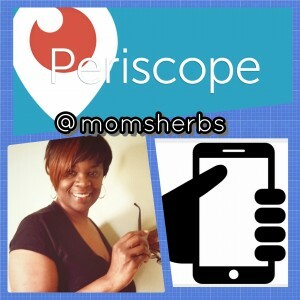 Follow me on Periscope and Twitter @momsherbs. I will be live at 7:30 pm, central time/ 8:30 pm, eastern time. If you miss it live you will be able to catch the REPLAY on my Periscope and Twitter pages. Plan to join me weekly for my Health Chats. Posted under Webinars and workshops | Comments Off on JOIN ME LIVE ONLINE!!! Posted by Marguerite | August 15, 2017. Posted under Anti-aging, Anxiety, Emotional Health, Everything else, Fitness, Massage Therapy | Comments Off on Don’t forget to stretch! Posted by Marguerite | July 2, 2017. Posted by Marguerite | June 23, 2017. What do you think is one of the most popular programs people contact me about? As an Herbalist and Health blogger I have people contact me pretty frequently to learn about natural alternatives for various health conditions, but I think one of the top requests is a natural program to rid the Herpes virus. 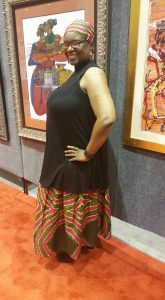 The other incentive that made me want to learn all I could about holistic health is knowing how the African-American community is plagued by so many diseases and disorders. I wanted to find a better way than harsh medications with all their side effects, amputations and other serious surgeries for my community. I found out we have to be our own doctors. We need to know all we can about the medications we are taking. Learn the best diet to help deal with Diabetes, Hypertension, High Cholesterol and many of the other diseases. We have to manage our diet, exercise and proper nutrition. I love that my Health blog allows me to share information worldwide and educate others on the benefits of Herbs, but the one article that I shared on a website I wrote for called Examiner.com got the biggest response I ever saw. It was my article on natural ways to rid Herpes. I got calls, emails left and right. It was exciting and sad at the same time. I was sad that so many men and women had contracted the Herpes virus. I spoke with many people and shared an excellent program that includes supplements and herbs to help the body strengthen the immune system, help with stress, cleanse and detox the system plus, a special herbal formula one Chinese Herbalist created to kill the Herpes virus. The formula is used for cold sores, canker sores and herpes infections. The key to this program is to stick to it. Changes will not happen overnight. Sometimes with this program and other herbal programs give it at least 90 days to get the full affect. Many people I came in contact with did not continue the program. Recently another Master Herbalist posted a Facebook Live video and he shared how one man had tested positive for the Herpes virus. After doing his recommended Herpes program six months later he tested negative. This is one of the many testimonies I know of on how people got rid of the Herpes virus. Stop and think – it is a virus. Your body can get rid of the flu virus or the HPV virus so, it is possible to fight and rid the Herpes virus also. Many Herbalists and Naturopathic doctors have helped people get rid of Herpes. It takes a special mindset to get on a holistic program to fight various diseases and disorders and strengthen the body. Also, it is important to stay on a preventative health program. I could share so many wonderful testimonies. This is why I have a passion in what I do. I am available to speak to by phone, or video chat and share my knowledge on the wonderful benefits of herbs. For details on holistic programs and herbal remedies contact me today. Posted under Diabetes, lupus, STDs | Comments Off on Do you have a holistic program to rid Herpes? Posted by Marguerite | June 20, 2017. Posted under Cell phones/EMF, Tech topics | Comments Off on Tech update on the Galaxy Note 8 phone launch Aug. 26! Posted by Marguerite | May 19, 2017. Posted by Marguerite | May 15, 2017. Posted by Marguerite | May 12, 2017. I’ve been learning of more and more of my clients dealing with Carpal Tunnel Syndrome. 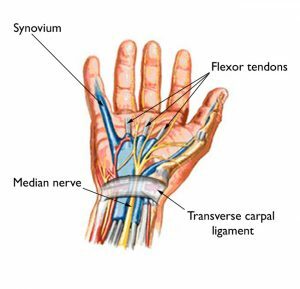 According to a study, it was found that Carpal tunnel syndrome is the most common nerve compression disorder of the upper extremity. With many people sitting at their computers for long hours, along with various other professions, the wrists get used frequently and it can cause tightness and pain in the carpal area. 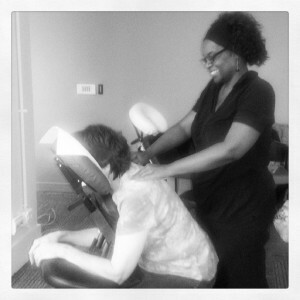 I normally focus on the carpal tunnel area when my clients feel pain. WHOLE LEAF ALOE VERA – drink 3 oz. 2x daily, organic sodium is needed. Also, watch your diet, eliminate junk food, red meat and acid foods. Check your pH and eat right for your blood type. (I have Blood type charts). Posted by Marguerite | May 8, 2017. 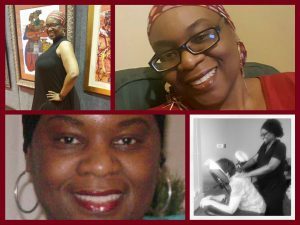 Posted under Fibroids, Massage Therapy | Comments Off on Hear my recent interview on a podcast! Posted by Marguerite | May 1, 2017.